This is the first time I am having beef tongue. To be honest, if no one tells me this is beef tongue I couldn't even tell the difference between tongue and meat. 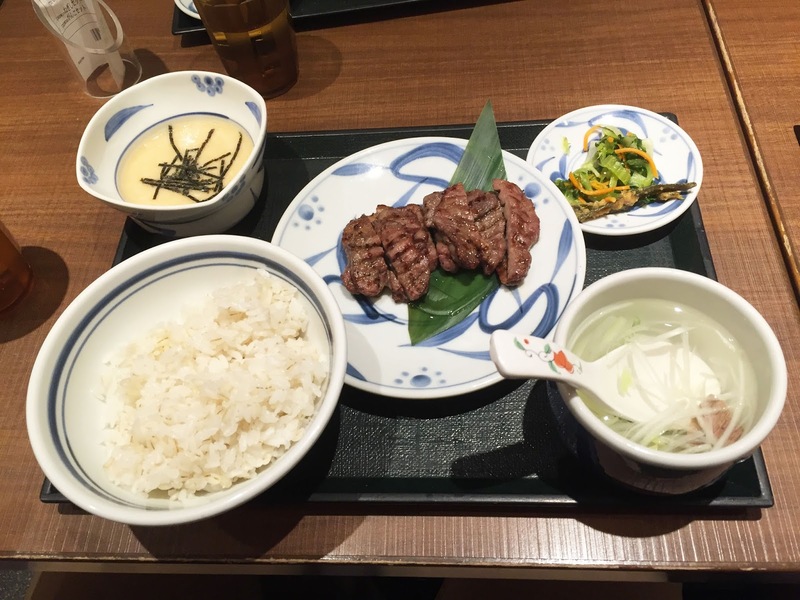 Anyway, the meal is not bad with different types of teishoku components. 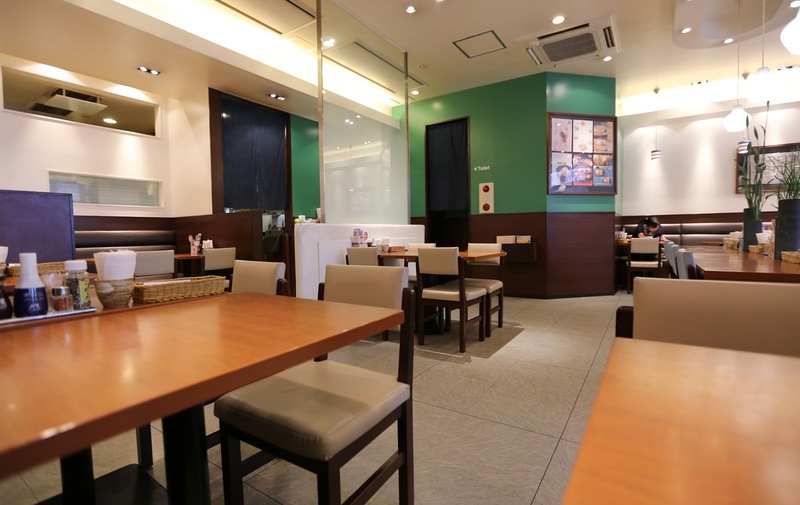 There's mugi-meshi (barley and rice), oxtail soup, miso nanban & oshinko (Japanese pickles), and lastly tororo. (grated mountain yam) For tororo, it can be eaten by itself or with rice. 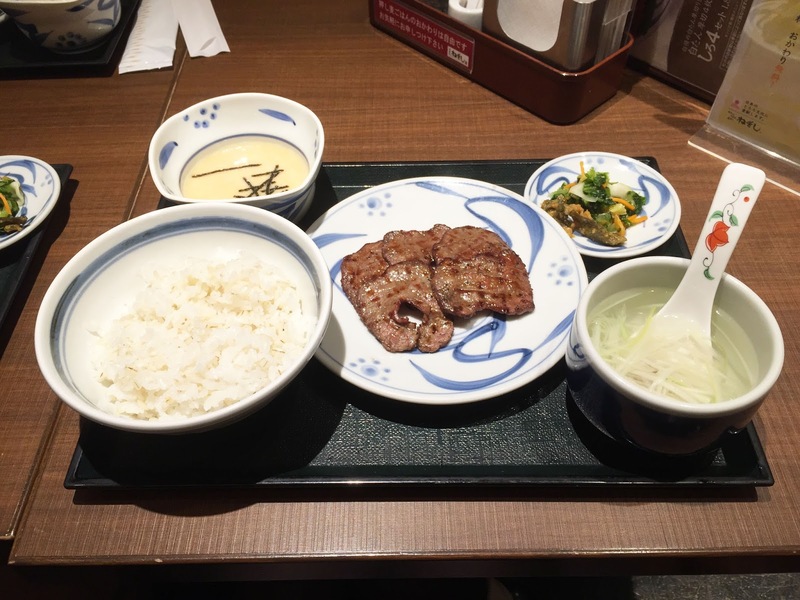 I personally like the negishi more than the gankochan because the meat is not as lean. More juice is remain within the meat. For oxtail soup, it looks absolutely like water and I felt like the taste is a bit artificial. For tororo, it is cold and slimy (like yeast batter) The taste is subtly sweet. ねぎしNegishi is a chained restaurants that have a total of 34 locations only within Tokyo. The one I went to is at Shibuya, locating on the same block as the Apple Store. 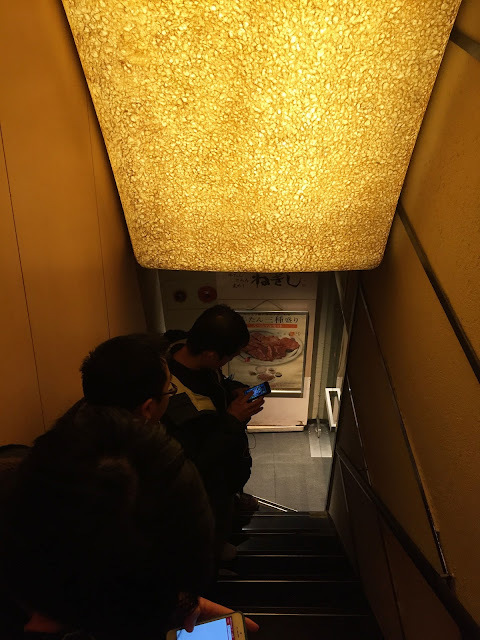 It was a dinner time around 8-ish and there's a line formed at the stairway. The wait was around 20-30 minutes. 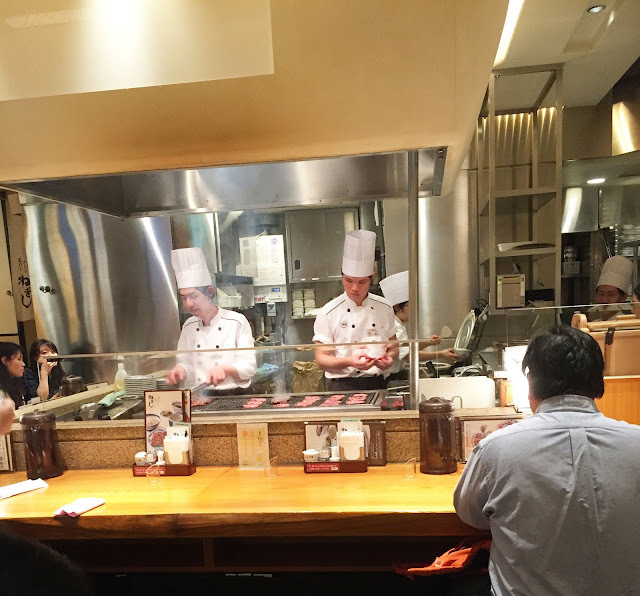 Once entered the restaurant, you can see how chefs are preparing food at the open kitchen. Everything else is pretty much self-served for an efficient, quick meal. Cold water jar is always filled at all times, condiments, toothpicks, napkins, etc. Beef tongue! Yes! 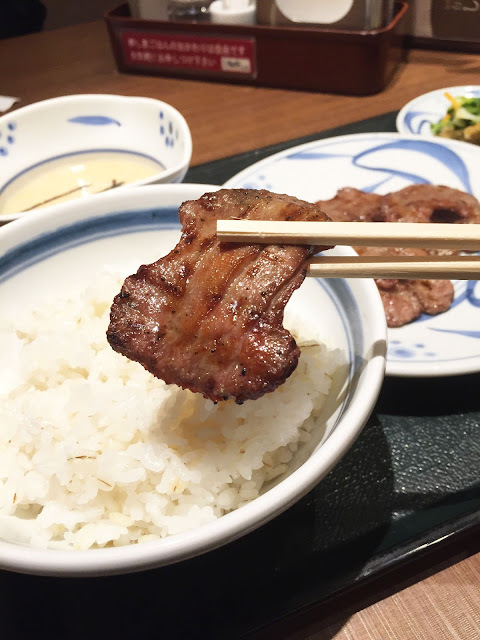 There's this place in this japanese supermarket that serves beef tongue set like this too. Good stuff. Napkins are new in Japan? A fastidious country, what did they use before? Thanks for the review. 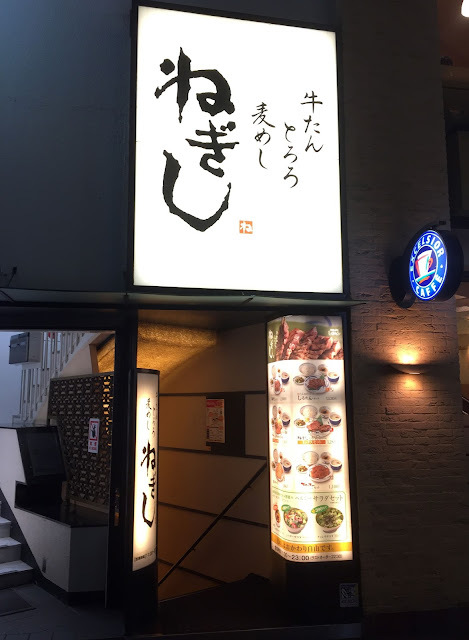 Oxtail soup is out for me at Negishi then. I do like cow tongue - like you said, it just tastes like beef. Sounds good. Looks kind of fancy to be a chain of restaurants. I ate tongue a lot of times because in South America it's very popular in some regions.